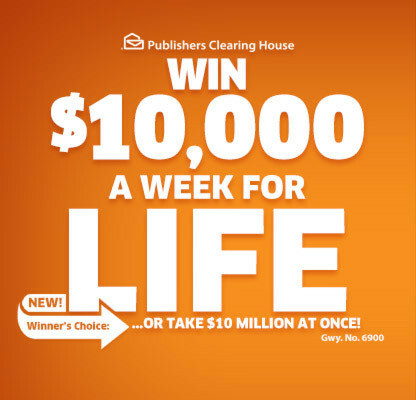 PCH $10,000 A Week For Life Sweepstakes GWY. 13000 or Lump Sum Payment at Once! PCH PRIZE UPGRADE with $10,000.00 Majestic Mountain Sweepstakes 2x entry – How would you like to win enough money to buy a brand new car, to purchase that dream vacation you’d never be able to afford or pay off all your debt. Debt and mortgage free and become the wealthy rich person you ever wanted to be. No more financial worries! Then help others and invest your money wisely! Imagine winning $10,000 a Week for Life or $10 Million All At Once! Giveaway No. 13000 – PCH Entry 10000 Week 2019 at pch.com. You may also be interested in an amazing Brand New Ford F-150 Platinum with Gwy No. 10074. How would you like to become the next PCH millionaire? No Purchase Necessary. You will be eligible for the drawing of PCH Sweepstakes NBC You Could Win PCH $10,000 a Week for Life! or $10 Million Dollar at Once! We have conducted a small survey about what people would do first if they won. Here’s the results: 39% Pay Home Loans / Mortgage – 21% Pay Student Loans – 17% Invest in Stock Market – 13% Take Vacations – 9% Give Back to Church – 7% Help People in Needs – 4% Ask a Financial Planner. So you don’t have to buy anything to enter this marketing promotion. Your chances of winning without a purchase are the same as the chances of someone who buys something. This giveaway is Publishers Clearing House llc Largest Weekly Lifetime Prize Yet! Enter As Often As You Like. You don’t have to wait for PCH to send you an entry opportunity into your e-mail account. This is just awesome they have doubled their usual standard weekly lifetime prize of $5,000 a Week for Life to a new Giveaway Sweepstakes with PCH 10000 a Week for Life. Moreover this time you have the choice to take the weekly payment or $10 Million Dollars at Once. Indeed, $10,000,000.00 in one lump-sum payment. Who would be the next winner ? You could become the one that will begin the new year as a Multi Millionaire! You could start entering today by any possible ways that Publishers Clearing House is offering you. Like I mention in a previous post; There is so Many Ways To Enter To Win The PCH Sweepstakes! Here’s the list again: PCH.com, PCHSearch&Win (PCH Online Search Engine), PCH games, PCHlotto, PCHFanpage, PCHTV, through email, PCHPrizebar, PCHonlinesurveys, PCH Ads, Enter By Mail, Telephone Entries and PCH Mailings! And you know what I heard that they are also working on something for all the mobile devices (iPad, iPhone, SmartPhone, Samsung, Android Tablet, etc..). So guys, like you can see, you may use any possible ways to enter the sweepstakes. Maybe you are the lucky one that Dave Sayer, Todd Sloane and Danielle Lam (PCH prize patrol) could be delivering this Dream Life Sweepstakes on the next December 23rd with Big Check, Champagne and Balloons Imagine what you could do with that amount of money you will receive every weeks of your life! Good Luck! Tell me what would you buy or pay first if you become the winner of $10,000.00 dollar a Week for Life with PCH? First thing that come from PCH Fans (comments section) Most of them will pay off their debts, some will buy a new car, others will buy a new home. But the most common things people say if they win, they will help others. They will help their family, friends and their community. it tells its own story about how people are being open-handed and generous. Publishers Clearing House 4 major prizes for 4 months in a row. Here’s what was buzzing last year from PCH Sweepstakes during Christmas Holidays. 4 Months of Millionaires with Giveaways 3148, 3577, 3080. I wonder what will be the next PCH sweepstakes in 2019? Until then you could become the next Millionaire that PCH is looking for before the end of the year!!! Good Luck Everyone! $10,000 a Week for Life or $10 Million All At Once! PCH Winners Choice 30 Second TV Commercial from the PCH Patrol. This WIN would be a gift of a lifetime.I would do so many wonderful things for other people. Hello my name is Milagros and I feel very fortunate to know that life surprised to see your dreams come true. I feel blessed. Very soon I will have the opportunity to meet three unforgettable people. Thank God for this beautiful gift. 95519401Yes I want to win& claim my forcoming $10 ,000.aweek for life prize number deposit onto the winner list Dec 30th 2015/ plus $55,000. Cash bonus from #4902/#5035for1, million/ pch $10,million super prize giveaway #4900/#3818/w46-15/#4650/#3080/#39.yes I want to see the pprize patrol with balloom,roses & big check Thank You & God Bless us all on Dec 30th. 95519401Yes I want to win& claim my forcoming $10 ,000.aweek for life prize number deposit onto the winner list Dec 30th 2015/ plus $55,000. Cash bonus from #4902/#5035for1, million/ pch $10,million super prize giveaway #4900/#3818/w46-15/#4650/#3080/#39.yes I want to see the pprize patrol with balloom,roses & big check Thank You & God Bless us all on Dec 30th. I accept my forth coming number on Nov. 17th 2015. I just want giveback to my mother, for all the hard work. She did we I was grow up. PCH. PCH I truly want to win. PCH I want to win 10,000.00 a week for life. How many times have I said I want to win 10,000.00 a week fir life bit enough Times Because I have not won yet. It’s is hard but, all ways keep you head-up. Go out in get. Hey PCH #1 See if you can get thru my front gate, without me knowing, so their will be no surprise, but that’s OK! Now the $10,000 per week, can I use it? Yes and No. Personally I don’t need it, however I can put it to good use, and it’s called sharing the wealth with others in need to help their family’s in hard times, as I realize that not everyone is setting the world on fire right now! As you may know.PS If I don’t win that’s OK too I do help were I can. Hello ever one sorry to inform you but I have the winning number 4900 better luck next time YOU are all invited to a lg BBQ AT A unsaid location I WILL TILL YOU ALL ON THE WINNING DAY GOOD LUCK AND MERRY CHRISTMAS I want to WIN 10,000,00 A WEEK FOR THE REST OF MY LIFE YAHOOOOOOOOOOOOOOOOOOOOOOOOOOOOOOOOOOOOOOOOOOOOOOO!!!!!!!!!!!!!!!!!!!!!!!!!!!!!!!!!!!!!!!!!!!!!!!!!!!!!!!!!!!!!!!!????????????????????????????????????????? I’m hoping you guys here at my house to bring my check for $ 10,000 a week for life and all awards will be welcome on December 30th, 2015 and GWY 4900… Thanks for the opportunity. When I see how many people want to win the $10,000.00 a week for life it’s overwhelming, but possible. I would get out of debt and bless my children, grandchildren and others. Also we need a new car and some repairs on our house. How wonderful to see you at my door on Dec. 30th!! PCH I’M ENTERING TO WIN $ 10,000.00 A WEEK FOR LIFE SWEEPSTAKES, GWY NO. 4900, THNX PAULINE. …. I am entering to win and claim my number for the $11,OOO.OO Cash Prize from PCH Giveaway No. 4944. Also I would like to win the 1O,OOO.OO A Week For Life Prize from PCH Giveaway No. 49OO. Thank you PCH for this opportunity. Yes I am claiming the Double the win of 5,000.00 in December 30th so I can help my family and my parents and give the church some to pay my tithe on December 30th and may God Blessed my to win so blessed me Jesus with this good reward and I would be so Happy so and Jesus Name Amen. I,m ready for a life change wheres the money ? Respond now before November 21, 2015 ( 11: 59 PM,ET) deadline. And $10,000.00 A Week For Life. You will so be taking a ” Special Early Look ” for a winnèr from PCHGwy.No.4900 on December 30th! How great it would be for me to ride around Detroit in a New Brand New Ford Fusion valued at $38,730.00 from PCHGwy.No.4650. Online Exclusive Prize Alert! To claim full eligibility to win a $10,000.00 in your ” full ” into Cash Contest. This prize guaranteed for award by the Prize Patrol on December 3,2015 ( GiveawayNo.5979)! Enter my name or number 4900 for the grand prize of 10,000 a week for life sweepstakes. Hope to hear from you soon . I really want to win but I still do’nt have a prize number. Search at Frontpage and claim my 2X Entries to win a Brand New Ford Fusion valued at $38,730.00 from PCHGwy.No.4650!Plus, I could win a changing of $10,000.00 A Week For Life prize from PCHGiveawayNo.4900 on December 30th. Search now at Frontpage and I could win during your ” Special Early Look ” prize event in just weeks! I would like to win on December 30th, to take care of my daughter and her education. Also help with my mother illnesses. Whoever win this, is so lucky for $10,000.00 A Week For Life. Must be nice. God is good all time. If you reach, out to him. he will reach out to, you. I sure hope, reach for me! with this $10,000.00 A week for Life. Yes pch please secure my number on the winners selection list Gwy 4900 $10,000.00 a wk for life plus double standard prize December 30th I want to win pch. I need to win please help!! I just really want, this to win.This is the best way for me, to do this. I Just want $10,000.00 A Week For Life. I all in this try to a winner, of $10,000.00 A Week For Life. I all in this win, for the rest of my life. Keep it up. Do my best for this, all in for this who didn’t want to win $10,000.00 A week for life. Please let me win the $10,000.00!!! Yes i want to win, really can use this blessing!! DEAR PULISHERS CLEARING HOUSE,YES I WANT TO WIN DECEMBER 30TH BECAUSE I WANT TO PAY ALL MY BILL.CAR,CREDIT CARD,HOSPITAL BILLS,AND OTHERS PLEASE AND I WOULD LIKE TO MEET THE PRIZE PATROL.I WOULD LIKE TO HAVE SOMETHING SPECIAL IN MY LIFE THANK GOD FOR THE PULISHERS CLEARING HOUSE. Keep Enter claim this Prize of $10,000.00 A Week For Life. I want to win $10.000.00 a week for life PCH. I would be delighted to win the Cash Prize for PCH GWY.4900 . It would make a wonderful present to share with some of my needy friends. There is one lad for treatment ,and without better treatment will pass-away in a few years. Please say a prayer for Brian . Thank You . Wow to win 10,000.00 GWY. 4900 WHAT THIS WOULD GIVE ME FREE FROM DEBT-ABILITY TO TRAVEL-TO HELP MY HOMELESS PEOPLE -TO BUY ME CLOTHES AND A SCOOTER WHICH I NEED SO MUCH -. TO HELP FAMILY -GRANDCHILDREN AND CHURCH- ALSO I WOULD LIKE TO WIN THE FORD FUSION WORTH 38,000.00 GWY4650…..YES AM IN IT TO WIN IT!!!! Yes, Yes , Yes, I want to win $10,000.00 a week for life at stake on December 30th!!!!!!!!!!!!! Since I’m Retired I could really use the $10,000.00 A Week For Life. It would be nice if I could help my children, only if we could have good HEALTH to go along with the money. Good luck to all. I am no different then anyone else I would really like to win and help my husband who needs some help with his back.I have always wanted to help others but haven’t had the funds to do so.I do give as much as I can anyway.So I would welcome PCH. Iwould love to be the winner of 10,000 a week for life AND HAVE THAT PUBLISHERS CLEARING HOUSE PULL UP OUTSIDE MY BUILDING AND COME IN AND HAND ME A CHECK FOR THAT THAT WOULD MAKE MY DAY AND I WOULD HAVE HAVE A NICE PARTY FOR ALL MY FRIENDS IN THE BUILDING. Respond now before November 21,2015 ( 11: 59 PM,ET) deadline! And to win!10,000.00 A Week For Life l could win when you take a “Special Early Look “from ( PCHGwy.No.4900) on December 30th. Online Exclusive Prize Alert! To claim full eligibility to win a $10,000.00 in ” Fall ” into Cash Contest. The prize guaranteed for award by the Prize Patrol on December 3rd ( 11: 59 PM,ET) deadline! $10,000,00 a week for life, GWY 4900 I need to complete compliance for super prizes and this prize. I want to win the prize because I am 81 years old and still have to work full time in order to pay my bills and it gets harder to do every day. If I can win, I will be able to retire and enjoy what time I have left. Thank you for the opportunity to participate draw $ 10,000 week for life on December 30 4900 GWY !! !, able to help my family and people suffering from cancer and homeless children, and my friends who pass needed one thousand thanks for existing. I wish with all my heart that I can win the wonderful contest of 10.000.00 a week for life. I have played and entered these contest many, many times. It would be a great Birthday Present for me….I was born on Dec. 31st…. 19–. I am entering to win a New Ford Fusion (valued at over $38,OOO.OO) from PCH Gwy. No. 465O. Also I would love to win $10,000 a week for life with PCH Gwy. 4900. Thank you PCH for this once in a lifetime opportunity! I’m searching again today to complete for $10,000.00 a week for Life on December 30th 2015. For me and my wife. Also for the poor people. I would like to win so I can pay for medical bills that will be coming up. 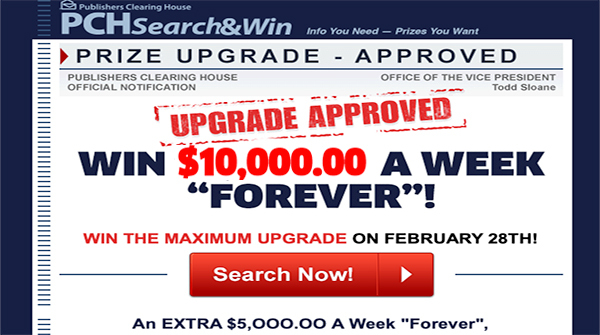 Keep enter for a miracle for $10,000.00 A week For Life is a dream come true. Like I say god know who, going to win this $10,000.00 A Week For Like. I’m ready for the grand prize and meet the staff of PCH. I wear brightly each day thinking of you and I know that my dream will come true. PCH I am in expectation never giving up on what God has for me. I am patiently awaiting your arrival when you will come knocking at my door on December 30th with a big check of 10,000 dollars, balloons, and flowers. The money would go to good use believe. Thank You PCH for all you do. If I win big prizes and 10,000 a week for life I will secure my kids future and help needy families , and buy from PCH it’s becuase they sell really interesting and cool stuff moreover those are the ones who sponser pch . Ps. I have a feeling this time I really am going to be the one who wins . PCH, again I am making this decree that the December 30, 2015, winners prize check will be endorse to me. I will be at home to answer the door when the PCH Prize Patrol Team makes that special knock on y door. I want to activate transmission status for $10,000.00 a week for life My entry is to be able to claim monies should My Number be the winner! The $10,000.00 a week is double Standard for $5,000.00 payouts. Thank You!! I want to win the $10,000 a week for life pch so I could buy a house for my family instead of paying rent cause rent is way up and I barely making it PCH thank you sincerely is Ricardo F Flores. I want to actívate my entry for $10,000.00 a week for life on december 30 th!!!! Please PCH ! HELLO PCH I WOULD LIKE TO PUT AND CLAIM MY ENTRY FOR 10,000 A WEEK FOR LIFE PCH GWY#4900 ON DEC 30. Hello Pch! I’m ready to win on December 30th. Come surprise me. 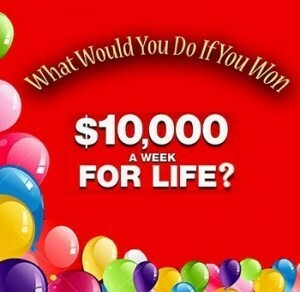 I soooo want to accept and win $10,000.00 a week for life. It would be just awesome.Thank you PCH for the chance. The Star is Risen with PCH and $10,000.00 A Week For Life. I do need to enter, so i might at least have a chane to win. Hoply i might be lucky this dc. It would be a tremendous gift of a dream house for me wife and an opportunity to donate to my favorite charities. Dear Publishers Clearing House, I would like to win December 30th. Then I can get the surgery that I need. The cash prize PCHGway no. 4900 would help alot. Thank You Very Much. Lets see,what would I do if I won 10K a week for life? I am entering to win 1O,OOO.OO A Week For Life during PCH’s special early look prize event with PCH Gwy. No. 49OO. Plus I would like to win a Brand New Ford Fusion valued at over $38,OOO.OO from PCH Gwy. No. 465O. Thank you PCH. Award A Double The Cash Prize ( PCHGwy.No.4900) on December 30th in the PCH ” Special Early Look ” prize event! Win and I could receive $10,000.00 A Week For Life! That’s double standard the amount of standard $5 ,000.00 A Week For Life prize. That is offered in the past! I claim the Big Buck Million prize access pass now! I’m taking action now before ( 11: 59 PM,ET) deadline. If I won many things would be better. My husband is handicapped and we would have a different money situation to do some of the things we only dream about. I would pay my house off, and since I have been unable to find a job at this time (don’t mind working) and if I didn’t have to find a job I could have a wonderful time with my husband, doing things together that we cant afford at this time. I was laid off about a year ago and have been unable to find a job. OUR DREAMS COULD HAPPEN and not have to worry over every dime. PCH Im really ready to win the superprize 10,000.00 a week for life on december 30th ,How i need it ,How i want to win. I started to feel, very confidential about, this $10,000.00 A week for Life. I would choose $520.000.00 A years would give me a lifetime of financial freedom to create the home of my dreams, drive my fantasy car and live the life l always wanted. Today is my Birthday. My only wish is Publishers Clearing House had the drawing today. Frontpage search, Yes, Yes, I want to win it Big. Another reply may generate an expression how grateful I am to be where I am right now, to thank you for this invitation, to seek A way that I might possibly win on December 30th 10,000.00 A week for life. Seems impossible, right now as I am writing. But an expression of gratefulness. Thank You – Bruce Hoekstra – 11-15-15 – 8:58 AM . Activate it for me so i can win on Dec 30 2015 pch GWY NO. 4900!!!!! Frontpage on December 30th, l could receive $10,000.00 A Week For Life, during ” Special Early Look ” prize event! That’s standard $5,000.00 A Week For Life Prize! So, I search at Frontpage and I could win from PCHGwy.No.4900! Plus, I could also entered to win a Brand New Ford Fusion valued $38,730.00 from PCHGwy.No.4650! Yes PCH I would love to win any thing from the PCH Prize Patrol on December 30 ! It would be a blessing! Entry will ensure my right to claim a Prize Number from this notice. I respond and acknowledge that I want my Prize Number from which l could have won $10,000.00 A Week For Life on December 30th. That’s double standard weekly lifetime prize of $5,000.00 A Week For Life! PublishingClearingHouse will soon be take a ” Special Early Look ” for a Lifetime prize winner from GiveawayNo.No.4900! I entry before November 19, 2015 ( 11: 59 PM,ET) deadline. If I won all that money I would be able to stay in my home. I would also like to help my family and friends. I am a cancer survivor.so I would give money for cancer research. Hello Everyone, Virginia, Thompson Here”VIP STATUS” Searching From PCHFRONTPAGE To ENTER , Claim ,BE OWNERSHIP TO “Publishers Clearing House” Giveaway No ,”4950 “Superprize® A WIN OF LIFE.YES ,YES, I DO WANT YOU TO COME TO BRANFORD ,FL, I WANT TO WIN .PLUS WIN A BRAND NEW “FORD FUSION” A $38,000.00 FROM PCH GIVEAWAY NO,4650 SO BRING IT ON WE WILL BE LOOKING FOR YOU ALL “PRIZE PATROL” THANK YOU ALL. DEC,30th,2015 Here is my “Winning Prize No, 7105-3879-7411 HERE IT IS !. my first thing would to help out my 4 kids. this would get them on the right track. then the rest is easy going. Yes yes PCH I WANT TO WIN. GWY #4900. I been giving this a lot of thought and of course I would do some very nice things for many people.It would take me awhile to feel that I won.I am hoping you do come my way PCH.I give to many diffident charitys but I would be able to do much more. 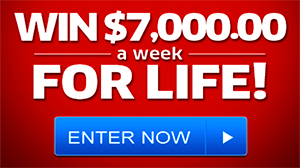 I am activating my Entry to win $10,000.00 A Week for Life! I am really really ready to win this amazing prize and i have my blue- print ready for my dream project.I will be so delighted to have you in Chicago on Dec.30th! I would be able to keep my home along with saving money for retirement plans. Plus get a vehicle I can depend on. Wish my wife would be here to enjoy my winnings with me. They, say hope and faith is dead. I disagree, faith is the only way for look up to the sky.In see the cloud, ask god for something. My faith and hope has all way been strong. For this, ones in a life time chance, for win. $10,000.00 A week for Life. Is, my only faith and hope, praying to god. Amen! Still in but I not quit! Hi pch it’s me cynthia again, I felt the need to explain more of what exactly I would do if I had the greatest opportunitie to win the 10,000 a week for life . I am a single mother and I currently live with my in laws, we rent and I would love to buy my mil, a home so she doesn’t need to pay anything, I would move my father to Colorado like he always wanted. My mother has been engaged for over 4 years now because she can’t pay for her dream weading, I enjoy helping my family, friends and people in need, I would open a shelter home and of course donate money every week to them, I would donate alot of the money, hopefully that would help the world become a better place, this isn’t all of what I would do but just some things I wanted to tell you, again I really hope I get chosen, ive never won anything maybe I could even go to college for my dream job , becoming a veterinarian! Saving the loves of animals ! December 30th can’t come quick enough !! Please please pick me ! Thank you so so much ! Cash contest award, by the PRIZE PATROL in Dec Gwy.No. 5979. Golden Opportunity. Plus I’d like to claim, Gwy. Brenda ferrara claims #4900 to win it all sweepstakes!I’m going to win 4-EVER thank you so much! What would I do if I won ? I would secure the safety of my family first . Education payment of my child. Buy a house get a safer car . Would help my needy and sick friends who helped me when I needed. I know lots of needy people that I would help them as well. I also would donate some good amount of money some organizations they work for the peace of the World. I know as a fact if you give it multiplies comes back to you anyway in some different way it could be any kinds of help. In such if you let go the injustices the justice comes back to you in a different way. I would like to win all of the prizes that I am eligible. I would love to win so we can settle the estate of my husband’s father. Winning would help ease some of the burden. Best of luck to all who have entered. PCH I want to win win the Super prize $10,000.00 a week for Life. That’s is Double Standard for our $5,000.00 a weekly Payout! Plus I would like to win the Brand New Ford Fusion PCH GWY #4650 on December 30th. Thank You!!! Yes, I want to win it all Big. Yes, Yes, Yes, Yes, I want to win gwy #4900 A week for Life, and all other bonus that applies.